"I invited all her friends." 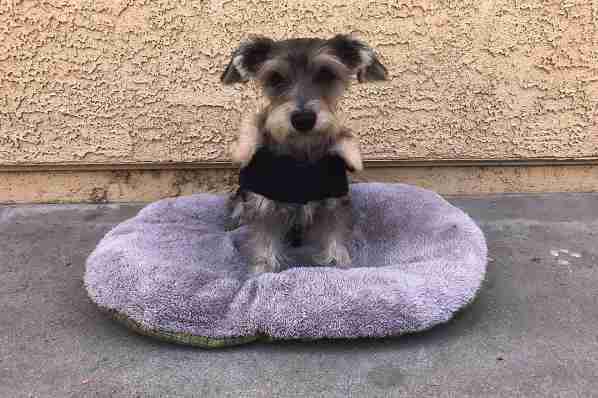 For Ana Santos, a college student from California, simply having her beloved dog Bella in her life has been the greatest gift of all. So, long before the pup's first birthday even rolled around, Ana knew she wanted to make it as big a deal for Bella as Bella is to her. "Six months before her first birthday, I knew I had to do something special," Ana told The Dodo. That's when she started planning. Ensuring Bella's surprise birthday party would be as epic as possible took lots of consideration on Ana's part. 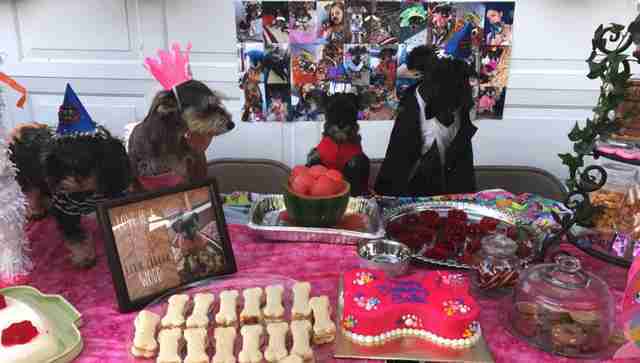 She started by making a list of everything that a proper pup party should have — and then went above and beyond that. 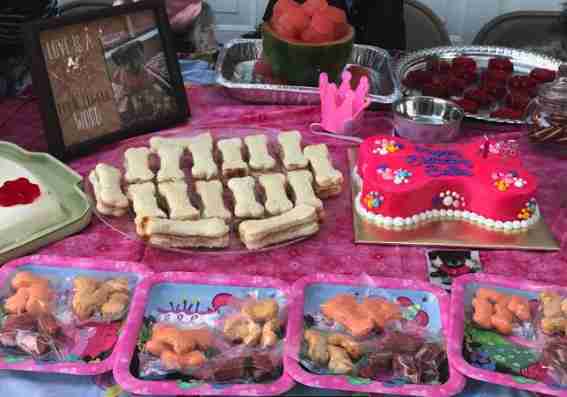 "I got Bella's favorite treats, colorful birthday hats, balloons shaped like paws, treat bags for all of Bella's doggy friends, a unicorn piñata, doggie cookies and fabulous cake specially made for dogs to eat," Ana said. 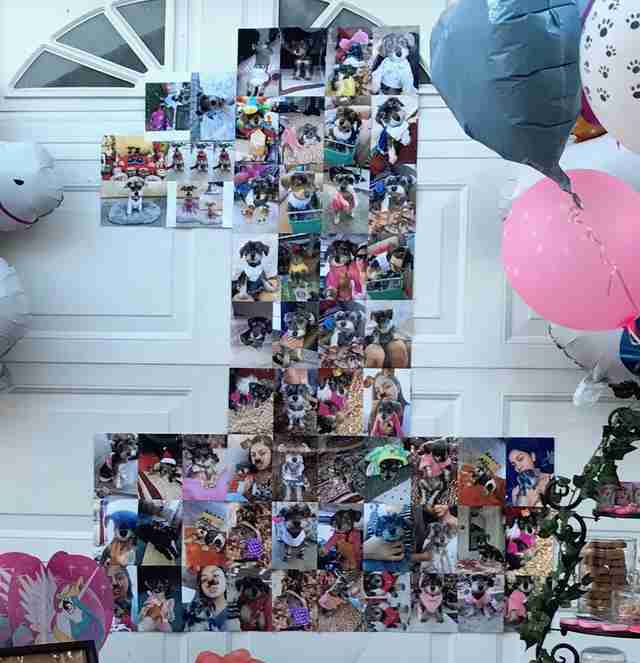 She even made a giant collage of photos she'd taken of Bella during their joyous start together. No party would be complete without Bella's pup pals. "I invited all of her friends," Ana said, including two for whom it would be their first visit to her house: "The mini schnauzer who always plays with her and scrambles to the window to see her each time we go on a walk, and the inquisitive schnauzer who's her best friend and plays with her at the park." It took a lot of time and energy to get everything this perfect — but it all paid off. Bella had no idea what awaited her. "At 3 p.m. the doorbell rang — Bella was excited!" Ana said. 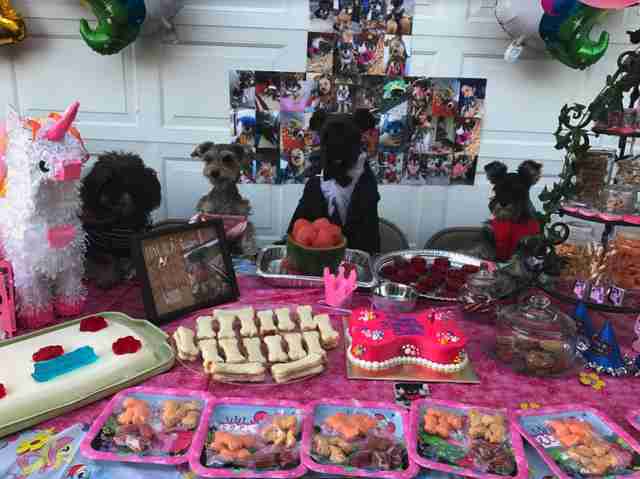 "At the door were all of her canine friends ready for the party of a lifetime." It might have been Bella's party, but she wasn't the only one having a blast. 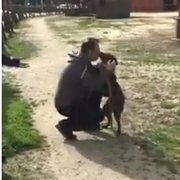 "The dogs and their owners all had a fabulous time. The dogs' wagging tails and the smiles on their owners' faces told me that!" Ana said. "I looked over at Bella, as proud as punch. She enjoyed herself. I'd enjoyed myself, and everyone had had a wonderful time." Of course, before the party was through, everyone sang happy birthday to Bella. All good things, including pup birthday parties, must come to an end. After a few happy hours, Bella and Ana said farewell to their guests — sending them on their way with goody-bags filled with treats and toys. The party was a success. 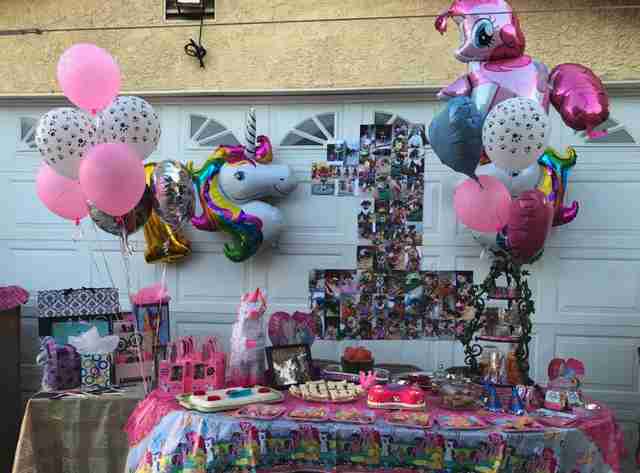 Despite all the planning that went into it, Ana is already thinking about Bella's 2nd birthday party. "I cannot wait for next year to do it all again! Next year I plan on making it even better," she said, adding a special note for her cherished pup: "Thank you, Bella, for always being there for me, I love you!"